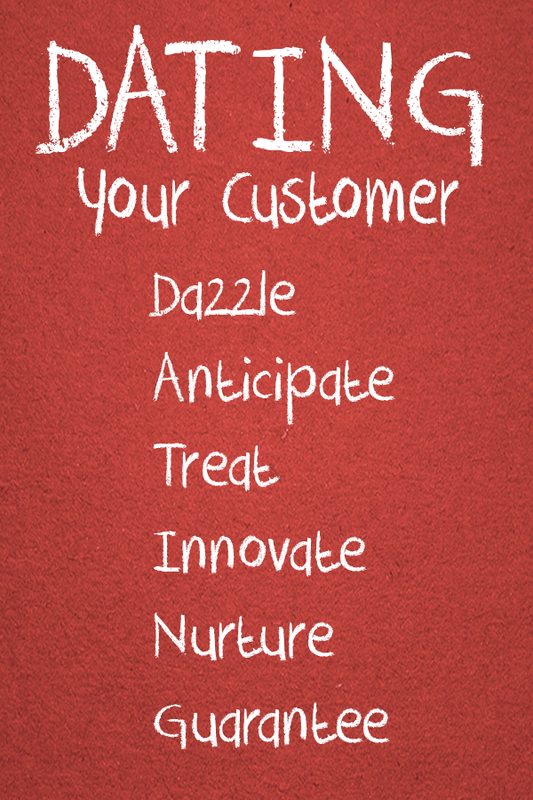 Just like Valentine’s day should be everyday, you need to focus on your customer, just like you were dating. Any date starts with a raised level of expectations. No one goes out just to “kill time.” A reason always exists. 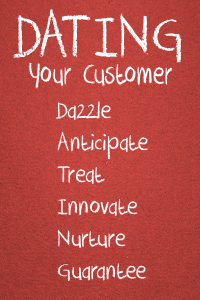 Whether you want to dazzle your date or customer the principles are the same. Knowing how to concentrate and focus energy on important things is important, instead of frittering your energy away on trivia. Formulate a strategy. Check your strategy. Change it. Constantly measure the results. Learn from your mistakes. Assess what the plan is doing for you. Continue to deliver your message by learning what works and what doesn’t. Commit to making a quantum leap in your willingness to dazzle. Simply being authentic is not enough; to succeed you must consider how you will be interpreted. Here’s a bakers’s dozen ‘roses’ of ideas that will help you this Valentine’s Day as well as to retain customers in the future. Dazzle your date. Dazzle your customer. Average simply doesn’t make the cut. Diffuse – You have only one chance to make a first impression. Discover – Listen more and talk less. Delight – By giving it your all. Dream – Treat them the way you want to be treated. Direct – Give them 100 percent of your attention. Differentiate – Look directly into their eyes. Delight – Reinforce their decision to be with you. Determine – To honor their uniqueness. Detail – Look sharp. Listen sharp. Be sharp. Deliver – Under-promise and over-deliver. Digest – Gather in your resources, rally all your faculties, marshal all your energies, and focus all your abilities on exceeding expectations. Do – Just do it!